The United Kingdom Gambling Commission (the UKGC) has launched a new investigation regarding the use of the NDAs (Non-Disclosure Agreements) that the gambling operators use in their settlements with the consumers, after claiming that they could breach the conditions of the license. The guidance that the UKGC issued states that the NDA cannot be used in a way that would make the consumers feel that they are unable to notify the gambling commission, or any other regulators or any other forms of law enforcement, of conduct that should be reported to such entities. 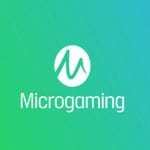 The guidance also stated that the licensed operators have to notify the UKGC with any kind of offenses according to the Gambling Act, and this includes breaches of license conditions, as well as the codes of practice of social responsibility. The UK Gambling Commission also stated that it is also keen to make sure that the consumers do not prevent themselves from reports issues to the UK regulator because they believe that the settlement has a condition that states that they cannot complain or report issues to the regulating bodies. 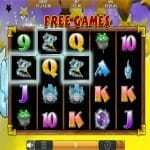 The UKGC also stated that the operators have to make sure that the consumers that have any gambling-related problems are able to discuss their gambling history freely with any treatment providers. The statement clearly showed that plenty of these NDA agreements have an effect on the consumers that prevents them from reporting different regulatory issues to the UKGC. These NDAs usually state that consumers can’t discuss certain things with a 3rd party, and sometimes, they explicitly prevent them from getting in contact with the UK Gambling Commission. The UKGC also stated that they understand that in certain commercial situations, the usage of NDAs is a common practice, and such agreements, when they are applied properly, will be beneficial to both sides. An example of the appropriate usage of these NDAs is resolving disputes around intellectual or supplier property. The commission also added that it would consider the NDAs used improperly if they are used to impend, deter or prevent a person from reporting any form of misconduct or a breach in requirement to a law enforcement agency. The regulatory also added that it would take action if it finds that the NDA is stopping a consumer from getting help and seeking treatment for a problem gambling issue, especially if it prevents them from discussing their history with gambling to a treatment provider. The UKGC clearly showed that if the customer is negotiating with the operator about their intention to report the matter, then they expect the operators to inform them that they have already self-reported such incident. Therefore, if there is an absence of self-reporting, and if the NDA prevents the customers from reporting it, then this is an aggravating behavior that will make the commission take regulatory action. Such move is only one of the many steps that the commission has been taking these past few months to further protect the UK costumers. Recently, the UKGC has issued a new strategy that covers 12 different priority points that aim to enhance the industry, and protect the players. “These NDAs usually state that consumers can’t discuss certain things with a 3rd party, and sometimes, they explicitly prevent them from getting in contact with the UK Gambling Commission.” Pretty shady and definitely a good thing that the UKGC is taking a hard look at this issue.